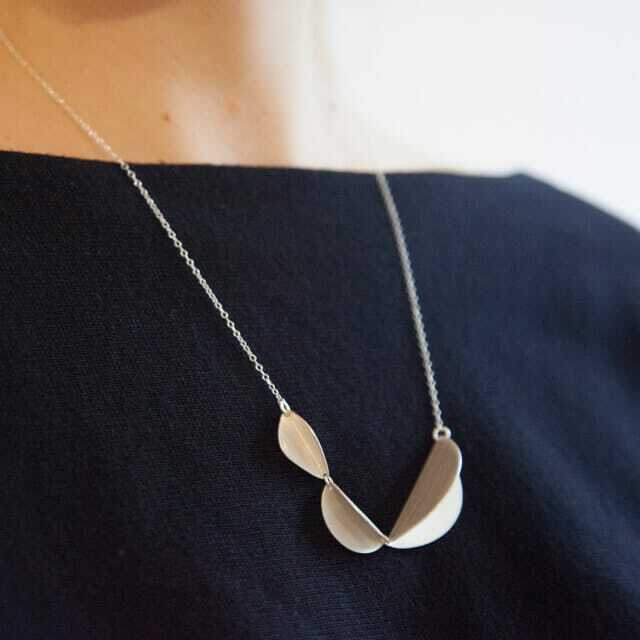 The Kia necklace is based on the abstracted shapes of succulent plants. It is formed of three folded sections with a brushed finish. Focusing on abstracted geometries, the Kia necklace is a key piece of the succulent collection and looks great with a dark outfit, yet works equally as well on most outfits. It is a very elegant eye-catching piece. 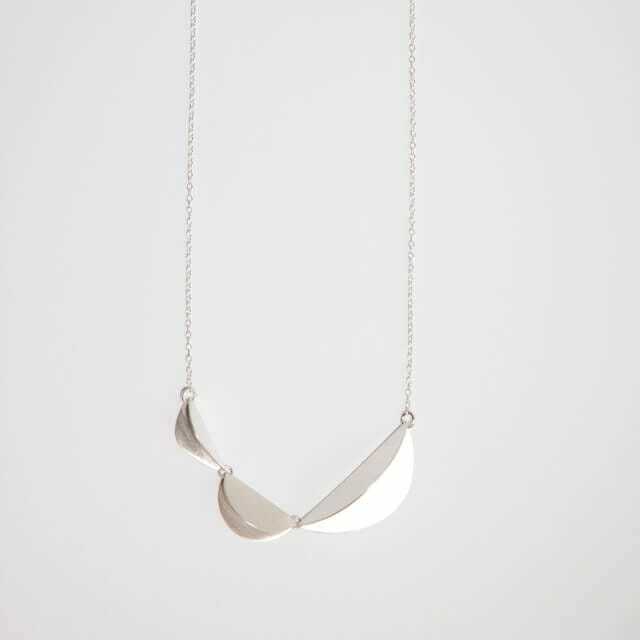 The Kia necklace is made using 100% Sterling Silver, including the chain.